Because sightseeing matters, but so do good food, restaurants, bars and cafés. For one thing, they form an integral part of the urban as well as cultural identity of a city. And what’s more, who doesn’t enjoy checking out new places when visiting a city? 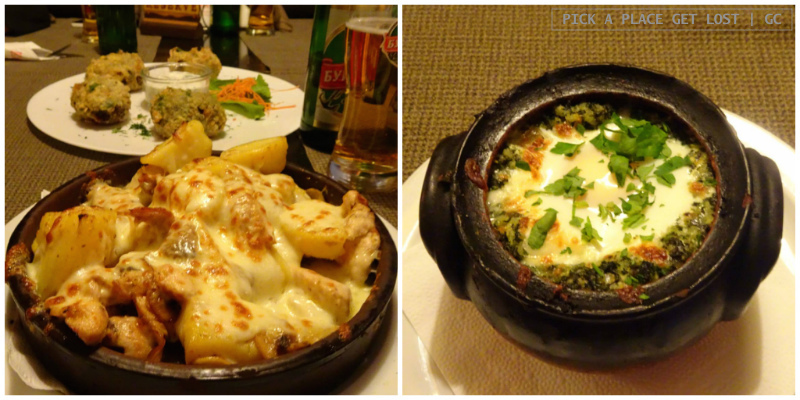 During my weekend in Sofia I tried out a few bars, restaurants and cafés. 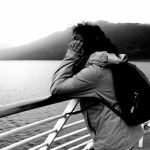 I don’t have that many to recommend (and additional tips are always welcome!) but, also thanks to my (formerly) Sofia-based friend, I believe they do make for a nice selection, overall. So here they are. Every city in the world deserves a place like this. No wonder Club Peroto (literally ‘Feather Club’) is amongst Sofia’s most popular bars. Situated in the very building of the National Palace of Culture, it is something between a café, a bar and a library, hence the importance of the adjective ‘literary’ in the name. It can easily be accessed directly via the colourful steps on the left side of the building – the staircase where each step looks like a (Bulgarian) book, remember? Spacious, airy and perfectly lit (not too bright, not too dim), it’s the kind of place that makes you want to stay ‘just a little longer’, especially when outside it’s rainy and dark. The unquestioned leitmotiv is always the same: books. They are everywhere: on the shelves, on the tables, ‘in’ the tables and in the armchairs (I did write ‘in’, go see for yourselves), or all piled up on one side of the room, holding up the bar itself. The fact that Peroto is open 24/7 is an additional plus. 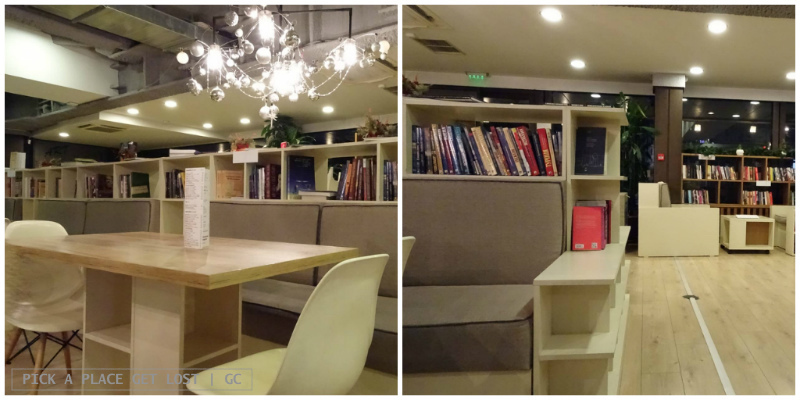 Whichever the time of the day, you will always know where to go if you’re looking for the perfect place to relax, have a drink and… well, obviously read. Wow, I loved this place. I ate so much and so well. And the ‘pizza’ bit in the name is a bit tricky, because pizza really is not the point here. The restaurant is located in the basement of the building and, when you walk downstairs, and through the main door, you will find yourself in front of Einstein in person. Almost, but the statue sitting at the desk, surrounded by books and seemingly deep in thought is quite realistic and certainly comes unexpected. After the initial ‘confusion’, find your table and focus on the menu – which, by the way, includes photos, so it’s easier to know what each dish is. The range of choice is super wide and diverse. There are countless meat dishes that are likely to make you full for a good 48 hours, such as the plate of chicken, potatoes, mushrooms and cheese, or the lamb chops served with tomatoes and cucumbers. If you’re a vegetarian, I’d say go for the spinach in a pot, which combines spinach, cheese and a sunny-side up egg. It made me happy and replete. If you’re in for something extra, the starters are also yummy and interesting. A few tips include the spinach-and-cheese croquettes, fried cheese nuggets served with jam (highly recommended! ), or a selection of pita bread with variations on the theme. In fact, the menu is seemingly endless, and rest assured you will find the right pick for you! The name itself earns this place ten extra points by default. There’s more to it than the pun, though. The place itself has a kind of hipsterish look to it, but again, it’s more about the name and the (intentionally) essential furniture than anything else. The menu is (obviously) focused primarily on soups, with five or six different types offered every day – and aptly noted in marker on a whiteboard behind the counter. We ordered the vegetable soup and the potato soup, and they were both truly delicious: hot, creamy, homemade, tasty and full of flavour. If you’re in a hurry, you can ask for a soup to go. If you end up there because you like your soup-loving friends more than you like soup itself, you can choose from the salads and sandwiches displayed next to the bar. The place is fairly small, so sometimes it might not be super easy to find a table, especially for a larger group. The room upstairs, though, is cosy and warm, and gives you the homey feeling you need when it’s freezing cold outside. If I had a place like this in my city, I would be a regular, no doubt about it! 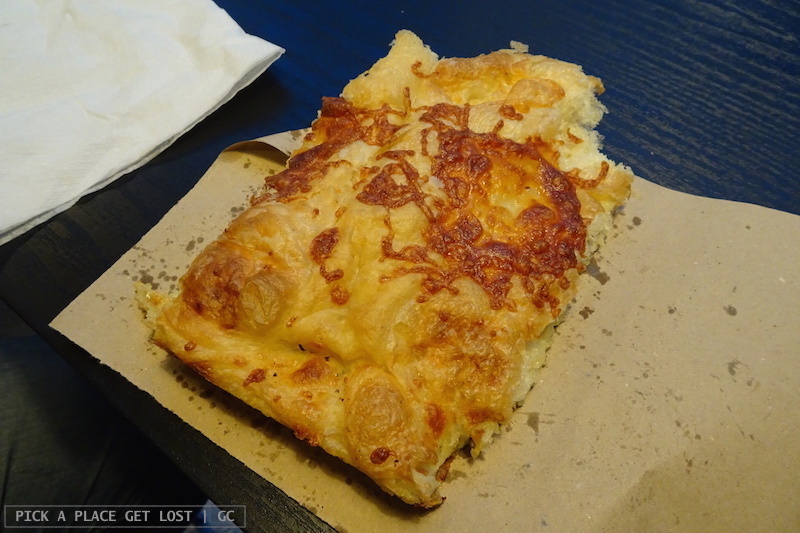 Key bit of advice: do not allow yourself to leave Sofia before you have entered (at least) one of its many banicharnitsa (баничарница) and tried (at least) one piece of banitsa (баница). If you don’t, you will regret it. Okay, but what is banitsa? Banitsa is one of Bulgaria’s most traditional types of food. It looks a bit like a pie, but it’s made using filo pastry. In its regular version it’s filled with a mixture of whisked eggs and cheese, but it also comes in other shapes and with less standard fillings, like spinach or pumpkin. Banitsa can be eaten hot or cold anytime during the day: it’s always, invariably yummy. Needless to say, there are countless banitsa places in Sofia. We were wandering about the centre, when we walked past a tiny one on Solunska St. (ул. Солунска), just off Vitosha St. and not far from the Palace of Justice. We were hungry, so we stopped by without thinking twice. 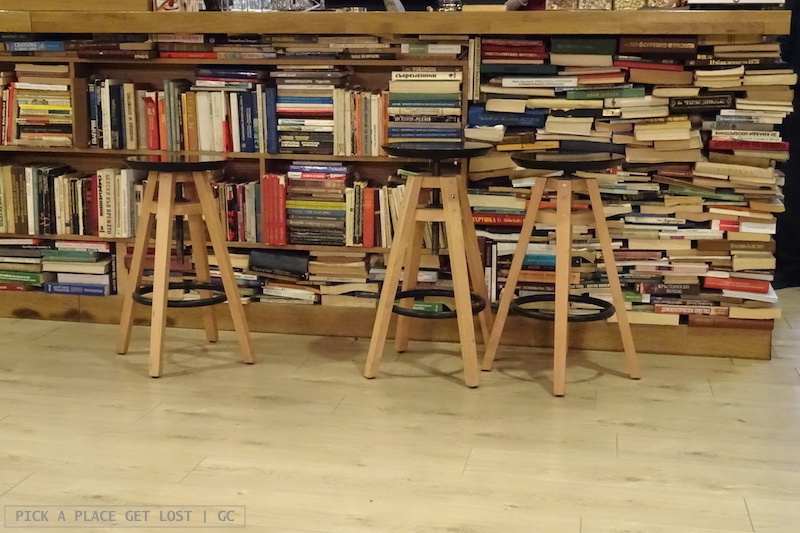 The place is really small with only a few chairs, as people probably buy one or more pieces to go more often than to stay in. The counter, though, displays a wide range of banitsa options that will make you want to try them all. Which I did (almost) literally: my friends ordered different types, I tried all of them and, well, I wouldn’t know which one to recommend. I mean, definitely try the traditional banitsa for sure, but also maybe pick a second flavour…! I’m sorry I can’t give more detailed directions on how to reach the banitsa place I went to. That said, there are so many banicharnitsa in the city that you will easily find one (or more) on your way, and you won’t be disappointed! Here you can’t go wrong: it doesn’t get more Bulgarian than this. Izbata Tavern is a traditional restaurant in the heart of Sofia, and a very popular one, amongst tourists as well as locals. 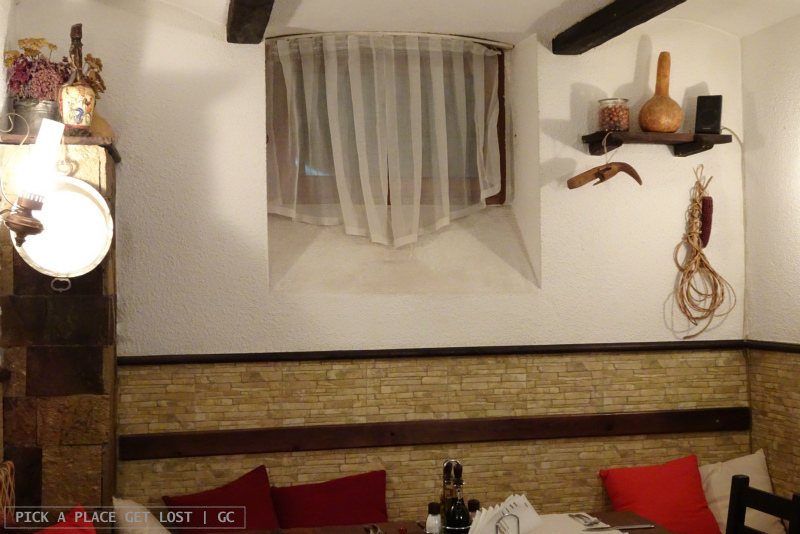 The interiors will take you back to what the restaurant website describes as ‘the spirit of the [sic] Bulgarian tradition, of the authentic Bulgarian cuisine and style’. 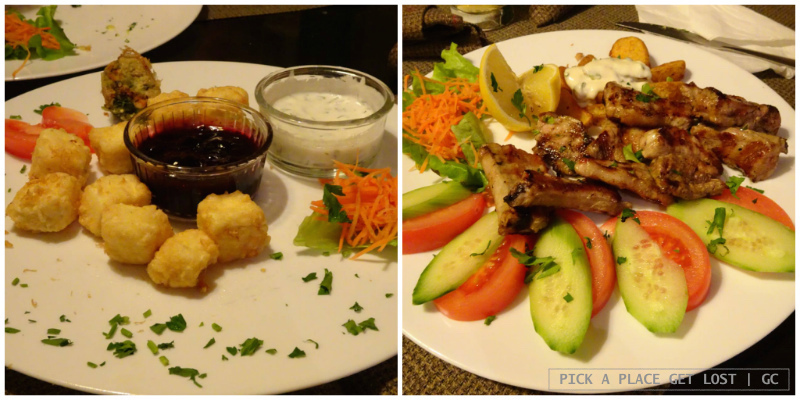 The menu includes dishes with evocative names like ‘Thracian salad’ and ‘The Old Izba satch’. If you want something truly authentic, focus on the ‘Main dishes’ section of the menu. My friends ordered ‘homemade cabbage dolmas’, rolls made from cabbage leaf filled with minced pork and spices. Others chose the ‘vine-leaf dolmas’, i.e. the meatless, vegetarian version of the standard dish. I went for the rice with porcini mushrooms and cheese, which was super flavoury. If you’re not yet full then, let yourself be tempted by the dessert section of the menu. After which, you can still wash everything away with a glass of rakia, popular fruit brandy that can rightfully be considered Bulgaria’s national drink! This entry was posted in Faves, Faves. 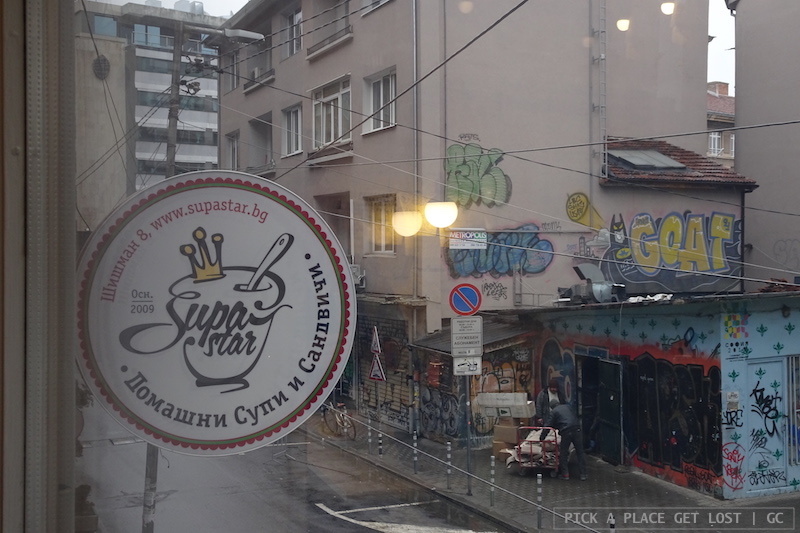 Food, Sofia 2018 and tagged banitsa, bulgaria, drinking in sofia, eating in sofia, peroto, pizza einstein, restaurant sofia, sofia, sofia bar, supa star by Giorgia. Bookmark the permalink.